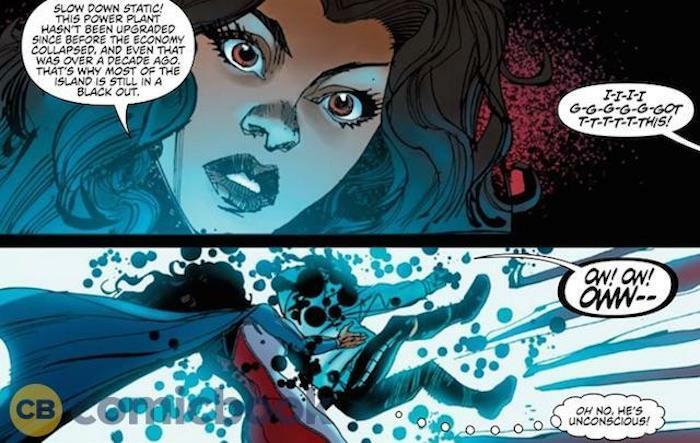 When Edgardo Miranda-Rodriguez brings his superheroine La Borinqueña teams up with the heroes of the DC Universe to help deal with the impact of Hurricane Maria on Puerto Rico, some unexpected faces will be in the crowd of heroes coming to the island’s aid. In a story co-written with Reginald Hudlin for Ricanstruction: Reminiscing & Rebuilding Puerto Rico, Miranda-Rodriguez will bring Static and Icon back into print for the first time in years — and legendary artists Denys Cowan, Bill Sienkiewicz, colorist Chris Sotomayor and letterer Taylor Esposito will be right there with them. The story represents the first time Milestone characters have been seen in the DC Universe in several years, and the first time Hudlin will write the “new Milestone” characters since DC announced that he would be spearheading their revival effort. For Cowan, the story will be his first rendition of the Milestone characters in nearly a decade. Milestone is planned to make its return to DC’s publishing line later this year as part of the Earth-M project, in which Milestone veterans from the past will join with new creators to bring new characters of color to the DC multiverse. You can pre-order Ricanstruction: Reminiscing & Rebuilding Puerto Rico at Amazon. The book will be released to the public on May 23, although may make its debut at convention appearances with Miranda-Rodriguez before then. When the imprint comes back later this year, its launch book will be titled Milestone, and will create the foundation and over-arching storyline for future Earth-M titles in the same way The Wild Storm has done for DC’s Wildstorm imprint. The series, from writer Reginald Hudlin and artist Ken Lashley, will focus on Icon and Rocket and will feature other classic Dakota Universe characters from the ‘90s.